Join us as we welcome April Griffin to our EventSphere team as Director of Operations. With more than eight years of hospitality experience across the US and internationally, she brings a high level of management and organization to the firm. As EventSphere’s Director of Operations, April oversees the company’s day-to-day operations, analyzing and developing policies and processes to improve efficiency for the firm’s more than 80 national annual events. Additionally, she manages our staff of Event Managers, coaching and working with them to improve accountability and client service. 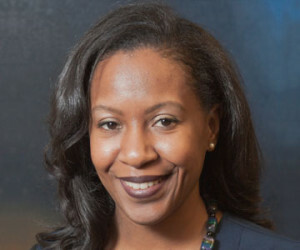 A graduate of Georgia State University with a Bachelor of Science degree in education, Griffin is a member of PCMA and ASAE. She was formerly employed by Ambassadors, now onPeak, where she collaborated with directors in Chicago, New York and Atlanta. During her time there, she developed effective creative marketing strategies that helped clients reduce attrition at events and save more than $1 million. April and her 4-year-old daughter live in Decatur. Founded by industry veterans, EventSphere is a housing services partner that helps clients build events of consequence by streamlining registration, bookings, logistics and marketing in order to increase the block and grow revenues.